The catastrophic events caused by Hurricane Harvey that took place in Houston and the surrounding areas of East Texas five months ago have reintroduced Americans to the climate change debate. With as much as fifty inches of rain in some areas – a state record for Texas – and more than sixty deaths to date, many believe that a hurricane of such magnitude was only possible due to human-induced climate change. 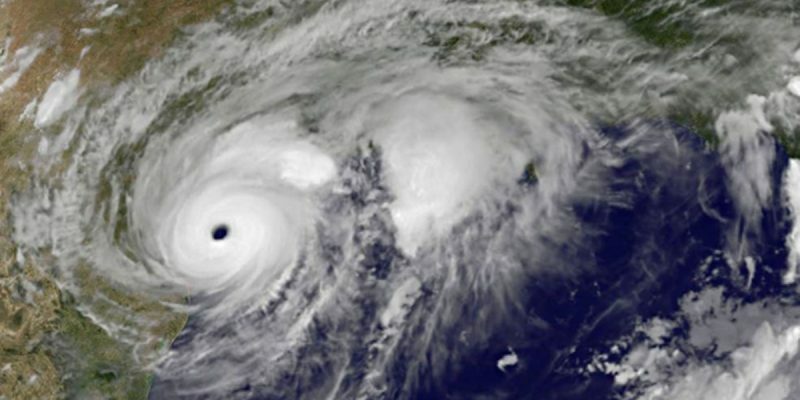 Many climate change activists and scientists claim that the warming of the oceans, accelerated by human activity, resulted in a much stronger hurricane, which also contributed to it hovering over the Houston area for multiple days after it made landfall. There is no doubt Earth’s climate is, and has been, changing. The question is to what extent, if any, have humans accelerated climate change? Let us briefly visit some common shortcomings in the climate change debate. Most people acknowledge that climate change is real and occurring. In fact, Earth has continually experienced a changing climate. After all, we know of at least five separate ice ages that Earth has undergone. And, each time, those ice ages were followed by a thaw that was unrelated to human activity. There are two fallacies with the manmade climate change argument: (1) The extent to which humans have caused climate change, and (2) The fact that the U.S. alone can mitigate the changes that are occurring (i.e. The Paris Climate Agreement). Recorded global temperature only began in 1850, right around the beginning of the industrial revolution, which saw exponential increases in manufacturing and global material output. Pollution was not regulated then or for many years to follow. From then until today, it is likely that the pollution generated on a global scale has had some effect on the earth’s natural cycle of change in climate. However, because recorded temperatures began after pre-industrialized times, there is little to compare with today’s temperature. Though geological findings help scientists determine certain effects of climate change, which dates back many years before recorded temperatures, it does not give us the full picture. If our last ice age was over 7,000 years ago – far before any man-made pollutants had been introduced into our environment and atmosphere – then what caused the ice to melt? The point is the earth continually goes through many changes, both heating and cooling, that have occurred far before humans had any influence on it. Hurricane Harvey was the first major hurricane to make landfall in the United States in the last twelve years. Where were the climate change activists and scientists during that time? Why was this anomaly not called out by these people as induced by man? Yet, the second Harvey appeared, the call to arms to abolish any form of pollutant-causing machines or refineries was echoed by a majority of the scientific community. Hurricane Jose, which was following a similar route behind Hurricane Irma, turned back into the Atlantic far from the shores of the U.S. If we caused Harvey and Irma to hit the U.S., then along that line of reasoning we should be applauded for sending Jose back into the ocean. Even in an article by NBC posted just days before Irma was scheduled to make landfall in the U.S., scientists were quoted saying that the computer models were unable to project the likely course of the storm. How are skeptics of man-made climate change supposed to believe in these scientists if they cannot even predict where a storm is supposed to make landfall, but can determine that humans caused the magnitude of Harvey’s destruction? Even worse, it exposes the inconsistency with the politics of science: the man-made climate change argument is brought up only when something adverse happens, never when something favorable does. Science, as much as it has done for humanity, cannot be treated as a religion, it is not infallible. The other fallacy evident in the man-made climate change argument is that, even if the U.S. heavily regulated pollution and output to the desires of the most radical man-made climate change activists, not much would change on a global level. Spare the Paris Climate Agreement argument, as that piece of paper is no more effective than Neville Chamberlain’s “Peace in Our Time” Munich Agreement. China and India are still the lead global pollutants with little desire to adhere to pollution regulations. Therefore, even as the U.S. continues to be more sensitive to pollution output and other harmful contaminants, curtailing it even more will do little to mitigate the human effects on climate change, even if climate change is greatly accelerated by humans. Next Article Hurricane Harvey Movie Begins Production but Is This a Good Thing?